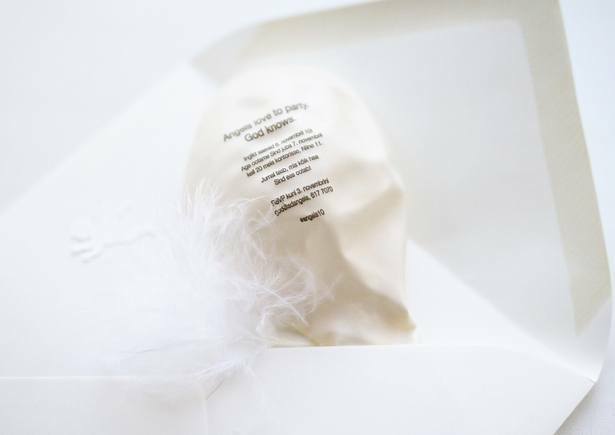 An invitation to Angels’ 10th birthday party – an evening full of friends, fun, laughter, great music, food, drinks and of course hundreds of balloons. 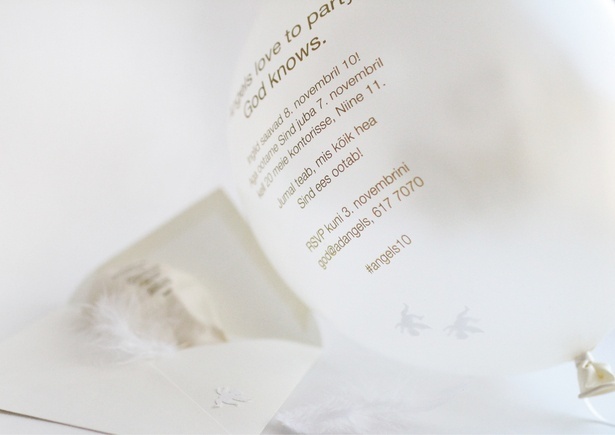 The envelope had feathers and little angels inside and there were angels also inside the balloon itself. 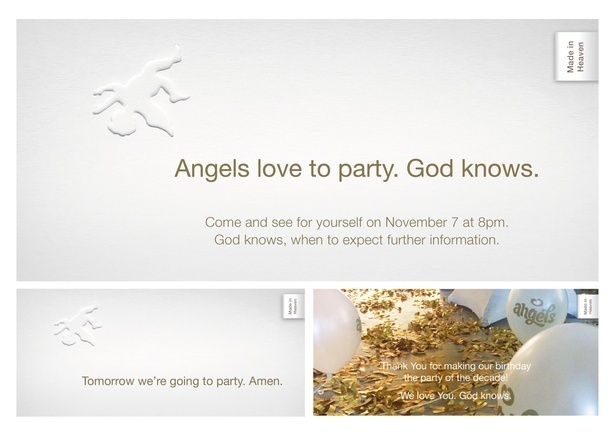 The actual invite was preceded by an e-mail “save the date” invite that did not reveal too much. 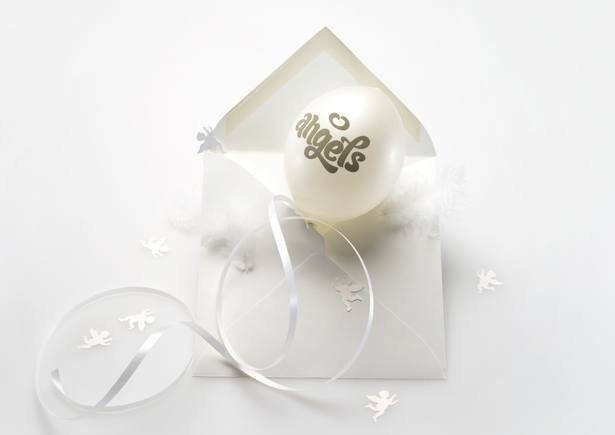 Then a day before the event we sent a reminder and after the event a “thank you” e-mail. A nice full package.